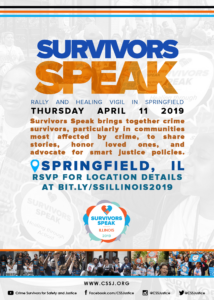 Between February and April 2019, hundreds of crime survivors representing a new victims’ movement will join state and community leaders across the country for the largest gathering of crime victims in the United States. THIS APRIL, JOIN US IN REMEMBERING ALL VICTIMS OF VIOLENCE AT A HEALING VIGIL IN YOUR COMMUNITY, OR BY LIGHTING A CANDLE FOR THEM ONLINE. On March 20, 2019, over 250 crime survivors came together in Columbus for the state’s first Survivors Speak Ohio. 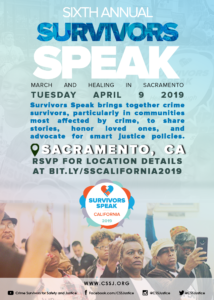 In April 2018, we celebrated five years of Survivors Speak in Sacramento with over 700 crime survivors in attendance. 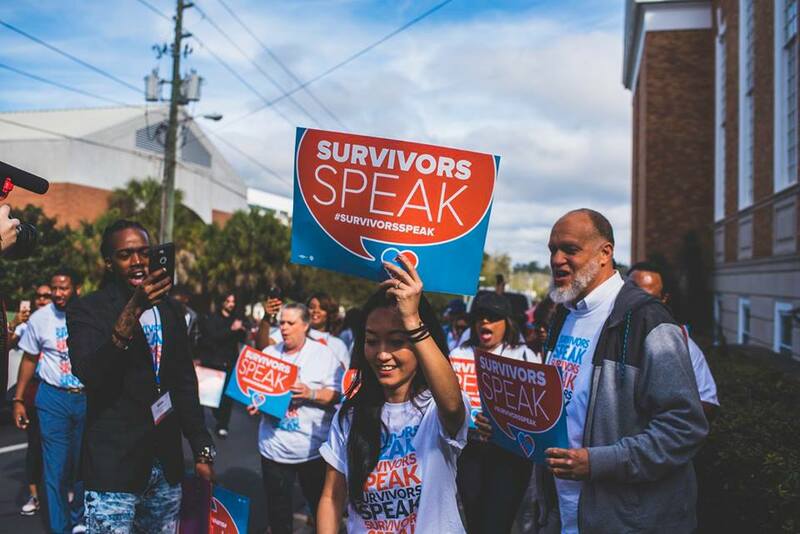 2018’s Survivors Speak Florida was our first event outside of California. 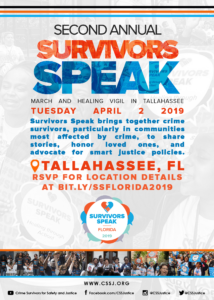 200 survivors from Florida attended the event in February 2018 in Tallahassee! Traditionally held each year during National Crime Victims’ Rights Week, Survivors Speak has transformed from an annual event into a year-long movement, bringing together crime survivors, particularly from communities most affected by crime, to honor loved ones and advocate for smart justice policies that transform families, communities and the state. The campaign season culminates in a National Healing Day of Action, where over two dozen cities from coast to coast will hold healing vigils to honor those we’ve lost, to celebrate those of us still here, and to look towards a future where survivors are safe and have the resources we need to move forward.